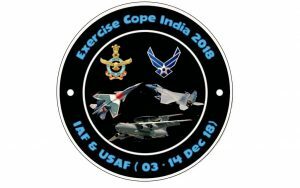 i. Ex Cope India-18 is the fourth edition in the series of Bilateral Joint exercise held between IAF and USAF, which is conducted in India. This is the first time, the exercise is being planned at two Air Force bases, Kalaikunda, and Panagarh (West Bengal). ii. USAF is participating with 12 X F15 C/D and 03 X C-130. IAF is participating with the Su-30 MKI, Jaguar, Mirage 2000, C-130J & AWACS aircraft. The aim of the exercise is to provide operational exposure and undertake a mutual exchange of best practices towards enhancing operational capability. i. 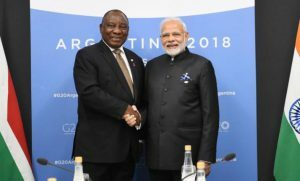 South African President Cyril Ramaphosa will be the Chief Guest at the 2019 Republic Day celebrations in New Delhi. The announcement was made by the Prime Minister Narendra Modi. i. India’s first locomotive-less train, known as Train 18, has breached the 180 kilometers per hour speed limit during a test run at Kota-Sawai Madhopur section in Rajasthan. When this indigenously designed train is made operational, it will become the country’s fastest train. ii. Train 18 is capable of touching 200 kilometers per hour provided the rest of the Indian Railways’ system, such as tracks and signals, permit. With 16 coaches, the train will have the same passenger carrying capacity as that of the Shatabdi Express. 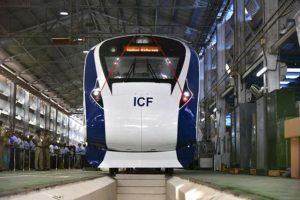 Developed by Chennai-based Integral Coach Factory in 18 months, the fully AC train is designed in such a way that passengers can see the driver's cabin. ‘Train 18’ will commence its commercial run from January 2019.
i. The Food Safety and Standards Authority of India (FSSAI) launched a new mass media campaign calling for the elimination of industrially produced trans fat in the food supply. ii. 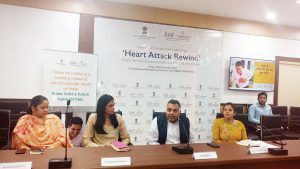 Called “Heart Attack Rewind”, the 30 second public service announcement (PSA) - the first mass media campaign of its kind – will support FSSAI’s global target of eliminating trans fat in India by the year 2022, a year ahead of the global target by the World Health Organization (WHO) for complete elimination of trans fat. Trans fat is made by adding hydrogen to liquid vegetable oils to make them more solid, and to increase the shelf life of foods. Trans fat is largely present in Vanaspati, margarine and bakery shortenings, and can be found in baked and fried foods. FSSAI Chairperson: Rita Teaotia, Chief Executive Officer: Pawan Kumar Agarwal. i. The Defence Acquisition Council (DAC) accorded approval for the acquisition of defence equipment worth nearly Rs 3000 crore which includes BrahMos Missiles, and Armoured Recovery Vehicles (ARVs) for Battle Tank Arjun. The decision was taken at a meeting chaired by Defence Minister Nirmala Sitharaman. ii. 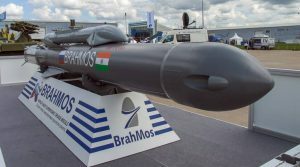 The DAC granted approval for procurement of indigenous BrahMos Missiles for two Indian Navy ships to be built in Russia. i. 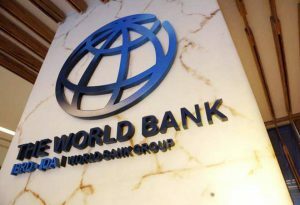 The World Bank has unveiled 200 billion US Dollars in climate action investment for 2021 to 2025, adding that this amounts to a doubling of its current five-year funding. The move coincides with a UN climate summit in Katowice. ii. The breakdown of 200 billion dollars would comprise approximately 100 billion in direct finance from the World Bank. i. 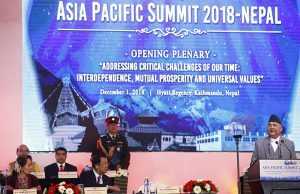 The Asia Pacific Summit-2018 began in Kathmandu, the capital of Nepal. The theme of two-day Summit is “Addressing the Critical Challenges of Our Time: Interdependence, Mutual Prosperity, and Universal Values”. ii. Around 1500 participants from 45 countries, including India, attending the summit. They will discuss various global issues, including peace, development, good governance and role of parliamentarians, climate change and role of media. Bidya Devi Bhandari is the current President of Nepal and commander in chief of Nepalese Army. i. 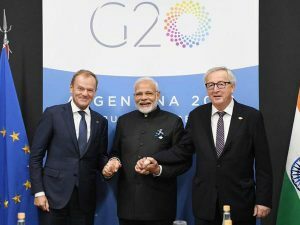 The G-20 Summit 2018 was held in Buenos Aires, Argentina. G-20 is a grouping of the world's 20 major economies. This year, the theme of the summit was 'Building Consensus for Fair and Sustainable Development'. ii. 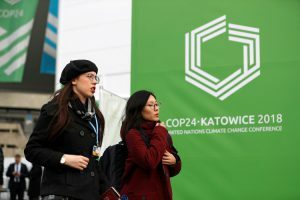 Climate change: G20 signatories to the Paris Agreement on climate, which is all of them except the US, pledged the “full implementation” of the pact, which they called “irreversible.” They also took note, without further pledges, of UN scientists’ call for a more ambitious target of reducing warming to 1.5 degrees Celsius above pre-industrial levels. i. 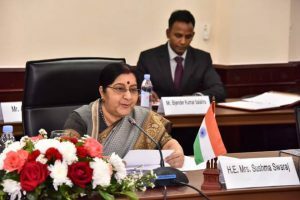 External Affairs Minister Sushma Swaraj visited the United Arab Emirates to co-chair the 12th session of the India-UAE Joint Commission Meeting for Economic and Technical Cooperation with UAE Foreign Minister, Sheikh Abdullah bin Zayed Al Nahyan in Abu Dhabi. ii. Mrs Swaraj also inaugurated a Gandhi – Zayed Digital Museum in Abu Dhabi to mark the celebrations of 150 years of Mahatma Gandhi’s birth and centenary celebrations of the birth of Shaikh Zayed, founder of the modern UAE. i. The UN climate summits, i.e. so called COP (Conference of the Parties) are global conferences, in the course of which action for climate policy is negotiated. The Climate Change Conference 2018 was held in Katowice, Poland. ii. For the first time, the climate summit took place in Katowice. This year's summit included: 24th Conference of the Parties to the United Nations Framework Convention on Climate Change (COP24), 14th Meeting of the Parties to the Kyoto Protocol (CMP 14) and the 1st Conference of Signatories to the Paris Agreement (CMA 1). i. 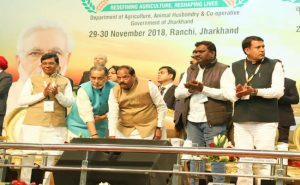 Union Agriculture Minister Radha Mohan Singh inaugurated Global Agriculture and Food Summit 2018 in Ranchi, Jharkhand. Seven countries, including China, Israel and Malaysia are participating in the two-day Summit. ii. Several dignitaries attended the inaugural ceremony including Jharkhand Chief Minister Raghubar Das and NITI Aayog CEO Amitabh Kant. Smt. Droupadi Murmu is the present Governor of Jharkhand. i. NATHEALTH has announced the appointment of Siddhartha Bhattacharya as Secretary-General. ii. In his new role, Siddhartha will lead the organization and work with key partners in realizing NATHEALTH's vision/mission to spearhead the goal of high quality, affordable health for all. i. 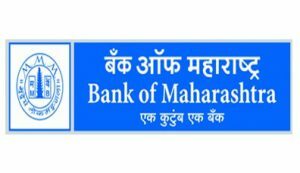 State-owned Bank of Maharashtra announced that AS Rajeev has joined the lender as its managing director and chief executive officer. Prior to this, he was executive director of Indian Bank. Bank of Maharashtra Headquarters: Pune, Founded: 1935.
i. Leftist leader Andres Manuel Lopez Obrador has been sworn in as the new Mexican President following his landslide victory in the July 2018 presidential election. ii. 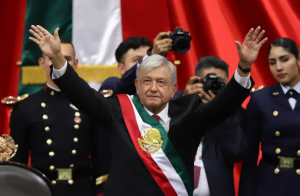 Lopez Obrador, 65, took oath before a crowd that included world leaders and a strong majority in both houses of Congress. Mexico Capital: Mexico City, Currency: Mexican peso. 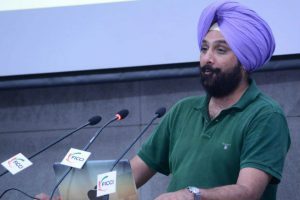 i. Raninder Singh has become the first Indian to be elected one of the four vice-presidents of the International Shooting Sport Federation. ii. The 51-year-old Raninder also heads the National Rifle Association of India. The former trap shooter bagged 161 votes to occupy the coveted post. In 2017, Raninder was re-elected president of the NRAI for a four-year term with an overwhelming mandate in Mohali. i. 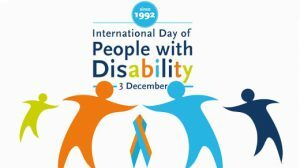 Since 1992, the United Nations International Day of Persons with Disabilities (IDPD) has been annually observed on 3 December around the world. ii. The theme for this year’s IDPD is “Empowering persons with disabilities and ensuring inclusiveness and equality”. 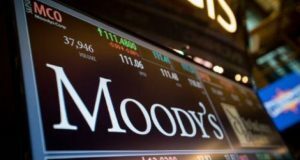 i. Moody's Investors Service's annual Banking System Outlook on India estimated the country's real gross domestic product (GDP) for the current financial year and next fiscal to grow at 7.2% and 7.4%, respectively. ii. In its banking system outlook, the global rating agency stated that the growth will be driven by investment growth and strong consumption. i. 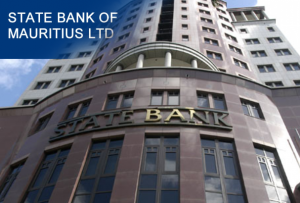 The Reserve Bank of India has approved the merger of SBM (Mauritius), India with SBM Bank (India). ii. 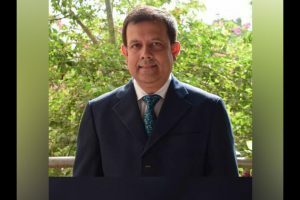 RBI has sanctioned the Scheme of amalgamation of the entire undertaking of SBM Bank (Mauritius) Limited, India with SBM Bank (India) Limited which has been granted licence by the Reserve Bank to carry on the business of banking in India through Wholly Owned Subsidiary (WOS) mode under the Banking Regulation Act. 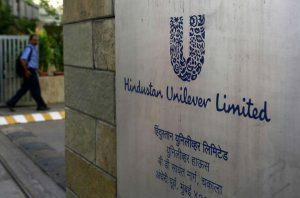 i. FMCG major Hindustan Unilever Limited (HUL) announced that its board has approved the merger with GlaxoSmithKline Consumer Healthcare (GSKCH India) through an-all equity deal, valuing the total business of the latter at Rs31,700 crore. ii. The transaction is an all-equity merger with 4.39 shares of HUL being allotted for every share in GSKCH India, which sells consumer healthcare products, including popular drink brand Horlicks. i. It was again all Ethiopian Show in Pune International Marathon 2018. Atlawim Debebe of Ethiopia won the Full Marathon with the timing of 2 hours 17 minutes 17 seconds. ii. In women’s Full Marathon Pascalia Chepkogei from Kenya stood first with the timing of 2 hour 50 minutes 27 seconds.